Erasmus+ project № 2015-1-BG01-KA201-014306 in key activity 2 KA2: Cooperation for innovation and exchange of good practices. Strategic partnerships in the field of school education. The period for implementation is 36 months from 01.09.2015 to 31.08.2018. 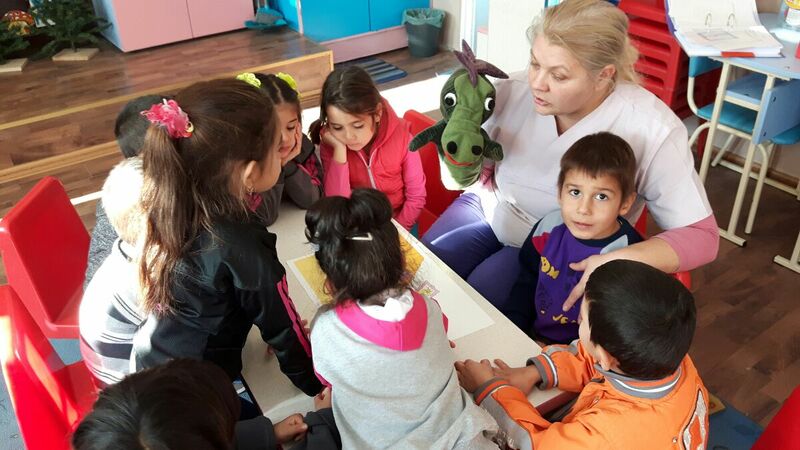 The main objective of the LAD project is to create a scientifically sound concept for teaching Bulgarian as a second language for preschool and first grade pupils. The concept will allow children with different mother tongue (other than Bulgarian) to obtain an optimal language training in Bulgarian language for a successful start at school. This will prevent dropout from the school system at the earliest stage. – Elaborating training materials for Bulgarian as a second language for preschool (5 and 6-year-olds) and first grade (7-year-olds). The learning materials are visual-based language situations, which motivate speaking practice, provoke children’s curiosity and inspire creativity. We are orienting our work to the concept Deutsch für den Schulstart, which was elaborated at the University of Heidelberg.